The Australian Melaleuca product range, using tea tree oil, is extremely wide and comprehensive and has something to appeal to every one of your customers. What's more, you can sell all the products with absolute confidence because they are made to the most exacting standards of purity and quality. Conscious of ethical beliefs, ORTRON has always supported the requirement that no animal should suffer in the development or manufacturing of any skincare products. Each product's tea tree oil content is matched to its particular purpose. Additional essential oils and extracts are blended with tea tree oil to maximise the products' effectiveness in their different roles. 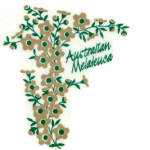 The Australian Melaleuca range uses only the purest oils, for example it sources citronella, mint and spearmint oils from China, rosemary from Tunisia, lavender from France and herbal extracts processed in Italy. All J&J products do not use tea tree oil. These products use only natural fragrances like rose, mandarin, orange and grapefruit, and herbal extracts through to the use of ampoule treatments. • Translight™ (for the reduction of dark circles around the eyes). 3. Lightening products for skin lightening of sensitive areas and age spots. This new range of the ORTRON brand deals with developing innovative applications of naturally based products (for example shea butter, cocoa butter, jojoba oil) and unique essential oils (such as argun oil, camellia oil, seabuckthorn oil) and herbal extracts (in either propylene glycol or glycerin). This product range steers away from the use of oil based raw materials. 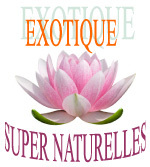 It has been especially developed to suit sensitive and damaged skin on the face and body. ORTRON's philosophy is that products should not not be used by themselves but within a treatment regime or range of products, which achieve the desired results on the face, feet, hands and other parts of the body. These treatment packs allows the user the opportunity to trial to a wide range of products in all three of ORTRON's ranges. The combination of products is sold in a handy one-month trial pack specifically designed for the treatment of individual skin types or skin problems. Each pack is designed for a specific treatment method tailored to suit different skin types, namely dealing with acne, dry, mature, oily, normal and dehydrated skin.